Since the introduction of computers, the way research is performed has changed significantly. A huge amount of data can be gathered and handled by a computer, compared to the situation before these machines were commonly available to scientists and households. Every interaction with a computer system or sensor can be recorded, resulting to an abundance of data that has already surpassed the human capability to analyze and understand them. Computers are not only used for monitoring, creating and recording data but also they have become the tool to analyze these data with the use of certain automations that otherwise would make the data analysis take years. The aim of this paper is to go a step further in this direction. Repetitive behavioral actions in sensor rich environments, such as the dwellings of the Ecommon measurement campaign, can be observed and categorized into patterns through data mining techniques. These discoveries could form the basis of a model of tenant behavior that could lead to a self-learning automation strategy  or better occupancy data to be used for better predictions of building simulation software such as Energy+ or ESP-r and others. ANASTASIOS, Iounnou. 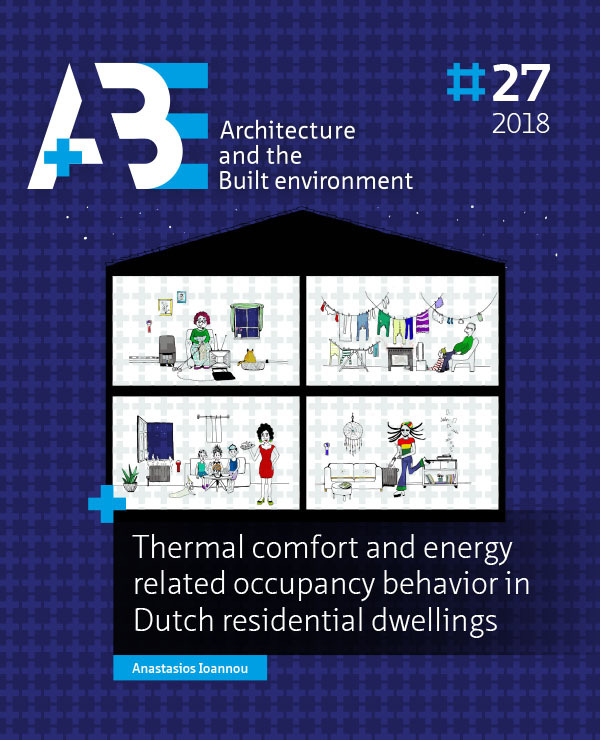 Behavioral patterns relating to thermal comfort and energy consumption. A+BE | Architecture and the Built Environment, [S.l. ], n. 27, p. 165-206, dec. 2018. ISSN 2214-7233. Available at: <https://journals.open.tudelft.nl/index.php/abe/article/view/3514>. Date accessed: 26 apr. 2019. doi: https://doi.org/10.7480/abe.2018.27.3514.